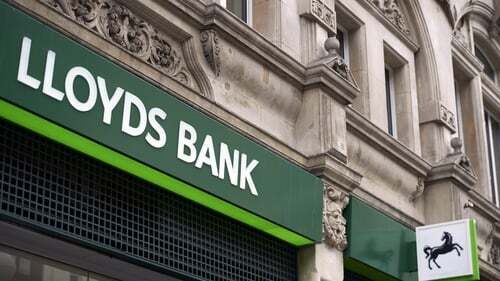 Lloyds Bank is looking to set up a third European Union subsidiary in Luxembourg to serve longstanding life insurance customers after Britain quits the bloc, a source told Reuters. This marks the bank's latest overhaul aimed at Brexit-proofing its business. The UK's largest mortgage lender is seeking a licence in Luxembourg to ensure continuity of service for customers based in the EU, the source familiar with the matter said. Initial discussions with regulators in Luxembourg - home to one of Europe's most thriving insurance communities - have already taken place, with further talks planned over coming weeks, the source added. If its application is successful, Lloyds will have legal bases in Britain, Berlin, Frankfurt and the Duchy, underlining the scale of reorganisation underway at UK-based banks as Brexit draws nearer. The bank has no plans to relocate UK-based employees to run the subsidiary. It is planning instead to hire around a dozen people to provide the necessary services to its EU-based Scottish Widows policyholders, the source said. These are holders of 'closed book' policies no longer being sold. The bulk of Scottish Widows policyholders will contine to be served by its Edinburgh-based British business. Like its main German subsidiary, the Luxembourg entity will also need its own pool of capital but the total sum required is still to be discussed with local regulators. News of Lloyds' bid to set up a third base in the EU comes as Prime Minister Theresa May steps up efforts to secure a so-called 'business-friendly' Brexit deal with the EU before the end of 2018. Britain's financial and related professional services sector, which employs 2.3 million people and represents nearly 10% of the UK's total economic output, is broadly considered the industry with most to lose in the event of a chaotic Brexit. Many global banks who have run European businesses from London for decades have begun to scatter senior executives and staff to a welter of new offices across the EU, amid fears they will not be able to serve EU-based consumers or companies easily after Brexit Day on March 29. Swiss bank UBS said in March it would pursue a "decentralised" model, echoing moves by Goldman Sachs, Bank of America and JPMorgan. Sources told Reuters in February 2017 that Lloyds will locate its main European subsidiary in Berlin, after converting an existing Bank of Scotland branch that Lloyds inherited following its takeover of HBOS a decade ago. In July, Reuters reported that the bank, a more than 250-year-old institution that has always concentrated its operations in Britain, will set up two additional hubs to better support its EU-based bond trading and insurance customers, and to comply with British regulations aimed at reducing bank risk. Lloyds declined to give details on the amount of money it would need to capitalise its Frankfurt entity, but the sum required by the main Berlin subsidiary is expected to run to the "low hundreds of millions of pounds", representing less than 1% of the bank's overall capital. Lloyds employs around 300 people in Berlin, including a full management team, finance, risk and human resources staff. It expects to shift no more than a handful of staff from Britain, the source said.